Two of the biggest pension funds in California have lost $5 billion in assets last year by sticking to their fossil fuel investments. 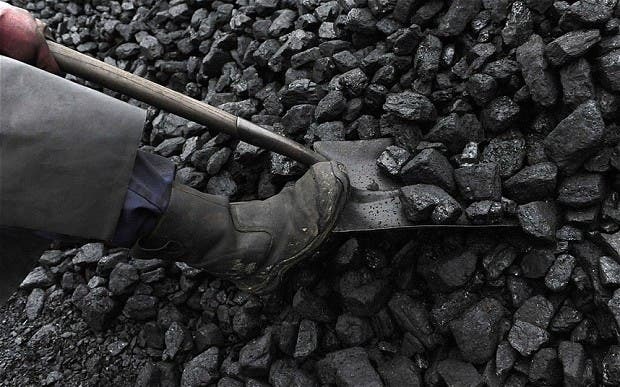 The report released by Trillium Asset Management suggests that the loss was due to the huge dip in oil and coal prices registered between July 2014 and June 2015. Divesting from fossil fuel a year ago might have been seen by some as risky. Now, financial experts advise to the contrary. For instance, an internal memo from HSBC – one of the most important bank in the world – cautioned against investing in fossil fuel assets. Elsewhere around the world, the fossil fuel divestment movement is gathering momentum as leading funds and universities, primarily in Europe, choose to liquidate their fossil fuel assets. Norway’s sovereign wealth fund, Stanford University, and AXA, a French insurance company, have also reportedly chosen to divest. Today’s news sounds like a victory for anyone looking towards a clean future, devoid of fossil fuel interests. At the same time, it’s not easy for the 2.6 million Californians who have their retirement savings banked with the two funds. They’re the unlikely victims and they’re not alone. An analysis made by The Guardian, reveals that throughout the world there are a slew of pension funds with serious cash invested in coal. These include South Africa’s Public Investment Corporation (PIC), which provides government pensions for millions, APG ($1.7bn), which provides pensions for one in five families in the Netherlands; TIAA-CREF ($838), the US pensions giant which serves 5 million teachers and the Canadian Pension Plan Investment Board (CPPIB – $590m), which provide the country’s state pension for 18 million people. According to ThinkProgress, coal is experiencing a long decline with coal stocks in the funds declined 25 percent during the 12-month period. The coal price has crashed by 60% since 2011, as gas, renewable energy and climate policies have damaged demand. There is broad scientific consensus that carbon emissions drive global warming, and governments around the world, including the United States, are incentivizing power generators to lower their emissions. What this means is a great deal of regulatory bias against coal-fired plants. The shale boom that’s been flooding the market with cheap natural gas isn’t helping the coal business one bit either. Don’t get me wrong. While coal is taking a dint right now, fossil fuel are still spectacularly profitable – they drive the world, after all. That being said, the divestment movement is (currently) a blip on the world’s capital markets. It’s still fantastic and inspiring to hear that a movement started by a writer and environmentalist (Bill McKibben) is now responsible for billions moving away from the fossil business. It’s actually a lot more than they bargained for. After all, the movement wasn’t initiated as a means of financially destabilizing oil and gas giants – that would be naive. Instead, it’s all about building a climate movement, gearing the world together and building a community. Secondly, there’s a financial incentive – that of showing fossil fuel corporations that they’re wrong in thinking they’re untouchable and invulnerable in the face of climate-driven market stress. “At this point to have everyone from the Episcopal Church to Stanford to the biggest insurance carrier in France to the biggest pool of investment capital on earth (Norway’s sovereign wealth fund) taking steps along this path is almost unbelievable. Almost from the start, academics have called it the fastest growing such anti-corporate campaign in history, and it’s clearly accelerating by the day,” said McKibben for Yale360.